Dr. Alan J. Bauman is the Founder and Medical Director of the Bauman Medical Group, P.A. located in Wharfside at Boca Pointe in Boca Raton, Florida. His practice is dedicated exclusively to treating hair loss in both men and women. He is focused on using the most state-of-the-art medical and surgical techniques to help his patients maintain and/or restore their scalp hair. Dr. Bauman is an advocate for a holistic, results-oriented, ‘multi-therapy’ approach to the treatment of hair loss. His international reputation for providing high quality patient care and exceptionally natural results has spread fast and far through the word-of-mouth of satisfied patients. Dr. Bauman was the only North American physician faculty member at the first Regional Live Surgery Workshop on Eyelash Transplantation, sponsored by the ISHRS. The Eyelash workshop was attended by an international group of forty physicians and their staff. Dr. Bauman presented his eyelash transplant techniques in lecture format as well as a ‘live surgery’ demonstration. His procedure was filmed by ABC News/Good Morning America, Reuters and Extra. Born in New Jersey, Dr. Bauman received his Bachelor’s of Science degree in Psychobiology from the University of California, Riverside where he began to cultivate an interest in medicine and surgery. Dr. Bauman received his M.D. degree with special honors from New York Medical College, during which time he was drawn to the more aesthetic side of surgery. He has had internship and residency training in General Surgery at Beth Israel Medical Center and Mount Sinai Medical Center in New York City before specializing in hair transplant surgery. During his fellowship in microsurgical hair restoration, Dr. Bauman worked one-on-one with his mentor, an innovator of highly advanced artistic hair transplantation techniques in New York. As a child he watched his own father (who had nearly complete hair loss) struggle with the hassle, expense and unnaturalness of a hairpiece for over twenty years. 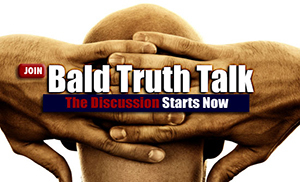 Dr. Bauman has since restored his father’s own living and growing hair through transplantation. Dr. Bauman is an active member of the esteemed International Society of Hair Restoration Surgery, where he has sat on the Ethics and Bylaws Committee, as well as the American Society of Hair Restoration Surgery, the American Medical Association, American Society for Laser Medicine and Surgery, Florida Medical Association and the Palm Beach County Medical Society. Dr. Bauman is a co-author of several textbooks on such topics as “Health Sciences Chemistry” and the medical school admission process, and a contributing author for the text “Cosmetic Dermatology” published by McGraw Hill. He has also published numerous magazine and journal articles on the current treatment of hair loss for the general public and physician readers, and has developed an international reputation for providing state-of-the-art care. His articles have appeared in such publications as the Hair Transplant Forum (the official publication of the ISHRS. Dr. Bauman is currently the Medical Editor of the National Hair Journal, the trade journal with the largest circulation in the hair restoration industry. Through his Educational Outreach program, Dr. Bauman has spoken to a wide variety of groups about the latest medical and surgical treatment of hair loss, and lectured to the ISHRS at their Annual Meetings and performed surgery as a faculty member at the ISHRS Live Surgery Workshop annually in Orlando, Florida. Dr. Bauman’s own website, www.baumanmedical.com was designed as a comprehensive resource for patients who are suffering from hair loss and seeking information on available hair restoration treatments. 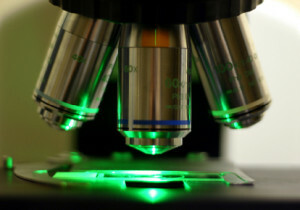 Dr. Bauman was the first hair restoration surgeon in the United States to use the French CapilliCARE® Microscopic Hair Analysis system-a non-invasive digital microscope that can acquire and record accurate hair density and hair caliber measurements in several areas of the scalp for future comparison for his patients. It is extremely useful to detect progressing hair loss in areas that are not yet visible to the naked eye, as well as track the responses to various forms of treatment. Dr. Bauman was also one of the first surgeons to routinely utilize The WAND®–a computerized, painless injection system for local anesthesia for every transplant performed, for maximum patient comfort. Digital ‘preview’ imaging is a routine part of all of Dr. Bauman’s consultations, to ensure that each patient has appropriate expectations of what the procedure can provide. Low Level Laser Therapy is a new, non-chemical, non-invasive technology that holds promise for the treatment of hair loss. Dr. Bauman was one of the first physicians in the world to use laser therapy in a hair restoration practice. Dr. Bauman, his wife, Karen, and sons, Ross and Spencer, are permanent residents of Boca Raton, Florida. Dr. and Mrs. Bauman enjoy dedicating their time to local philanthropies such as Colin Powell’s America’s Promise, the American Cancer Society, Susan G. Komen Breast Cancer Foundation and the Florida Philharmonic. In his spare time, he enjoys playing the electric bass guitar and spending time with his sons. Dr. Bauman is recommended by The American Hair Loss Association and The International Alliance of Hair Restoration Surgeons. 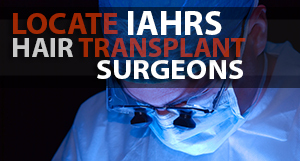 Ask Dr. Bauman a question on The IAHRS Hair Transplant Info Center.